UOITC organizes a workshop on the electronic archiving system . UOITC organizes a workshop on the electronic archiving system The Office of the Scientific Assistant at the University of Information Technology and Communications organized a workshop on the electronic archiving system for the follow-up of books issued and delivered at the University. The workshop was presented by Mr. Yahya Zaki from the department of applications at the Information Technology Center and attended by a number of users of the system at the university and its formations. This system aims to reduce the burden of sending and receiving data and administrative books between the servers, distributing the process of treatment between the beneficiaries and not focus on the server processor and allow it to process data transmission and receipt only without being occupied in other operations. The system works on archiving orders and communications issued and received with copies copied using the scanner, and alerting the delay in answering the orders and correspondence received and the presentation of a letter explaining the number of books and the details (in the order number or address, history). The system is also able to retrieve the information of stored commands and communications and copies of them when needed, according to (book number, date, and subject), in addition to the possibility of displaying the contents of each order or addressing the research in a way that explains the other commands and communications related to It,in addition to the system has the ability to work on a personal calculator or PC on the network, making it contributes to the service of all sectors. 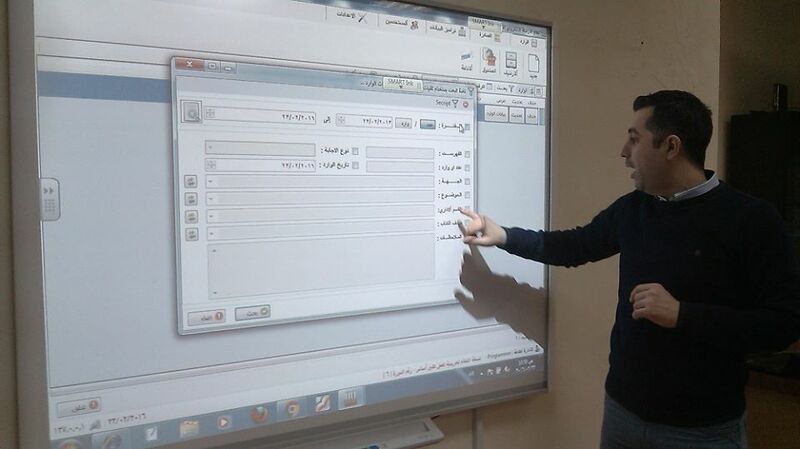 It is worth mentioning that this system, which was designed by the Department of Applications at the Information Technology Center, is used at the University of Karbala, the General Authority for Taxation and other departments. The Ministry of Higher Education and Scientific Research also seeks to adopt it in the Iraqi universities and the Ministry's Center for its high efficiency in the field of archiving and follow- Electronic governance.